Online Video Giant, YouTube adds another feather to its cap.After launching the technology which supports 360-degree video in March 2015. They are now adding a new feature that enables the live streaming of 360-degree videos & Spatial Audio. Spatial Audio is playing the sound or audio as in real life. The aspects like depth, distance and intensity will also play a significant role. It is a significant advancement moving towards the reality in the field of video broadcasting. More people are getting attracted to Virtual Reality videos due to the advancements in the technology. The live streams would be at 1440 pixels at 60 frames per second would have more pixel quality than a standard HD video of 1080pixels. The rolling out of the latest feature allows the user to feel at the event. It experiences all the viewers the front row experience without missing a single glance. At the user’s perspective, nothing extra is needed to enjoy the feature, and people who would watch these live 360-degree videos on their VR headsets and mobiles (Android device or iPhone) will feel the live experience well. These releases are welly timed to eventuate the National Association of Broadcasters conference in Las Vegas which would be a stage for the exhibition of Virtual Reality products of companies like GoPro, Adobe and Sky Italia. 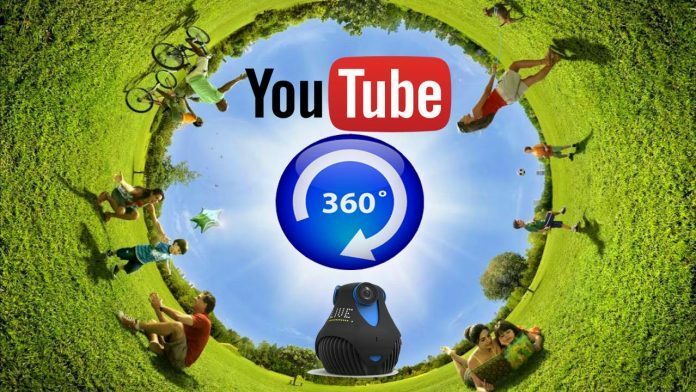 To develop this 360-degree live videos the YouTube started working with camera and software developers like Allie, Vahana VR, and Video Stitch & Orahi 4i. In addition to these features YouTube also started a Live API service. It encourages all the camera manufacturers to utilize & adopt to send the streaming videos to the service. The launching of these features would attract some viewers irrespective of their age to YouTube. In a span of one year, the Viewership is doubled in the case of mobile users. YouTube also investing more in the developments of these features as there are many VR enthusiasts across the globe.